Home Animals I want an AXOLOTL! The Axolotl is a urodele but also a new member of NP, new pets. This salamander’s cousin is more and more appreciated for several reasons. He can stay all his life in the larval state, he regenerates his organs, is often albino (domestic variety of the axolotl), and he even inspired “Pokémon “! Since 2006, it is classified as being in critical danger of extinction. Here is the essential to know about this amazing animal by many points. 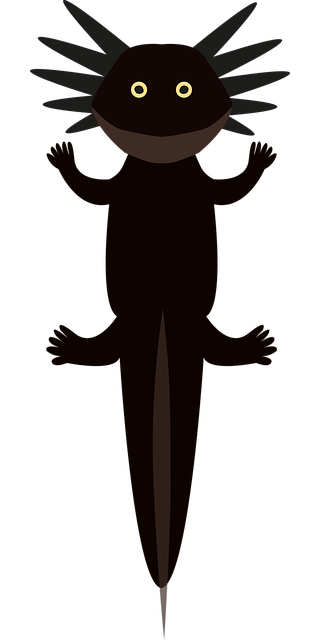 The axolotl or “water monster” in Aztec, is a urodele. More specifically, it is an amphibian that keeps its tail once grown. It has long been likened to a tiger salamander but it is a species of its own. It is native to Mexico where it is found naturally in the lakes. He has the peculiarity of being able to remain larva throughout his life while being able to reproduce. If he stays in the water, his life expectancy is 10 to 15 years, whereas if he is transferred little by little into a vivarium, this lifespan rarely exceeds five years. Another surprising feature of Axolotl is its ability to regenerate organs that have been damaged or even destroyed. Kind of like the tail of the lizard! But it goes much further in its “Repair “. He has the ability to “repel” a lost eye or damaged parts of his brain. It takes between 18 and 24 months to complete its growth. It then reaches a height varying from 15 to 33 cm with an average of 25 cm. His eyes are devoid of eyelids. He has six external gills on both sides of his head. They are usually compared to ferns. But the axolotl also has lungs and it can breathe through the skin. He has legs with four fingers in the front and five in the back. Where to buy an Axolotl and how much does it cost? There are three types of the axolotl. The common form is black, grey, brown or bluish. It’s found in the wild. The Leucitique form is the one found most often in the aquarium. It is characterized by its white color and black eyes. Finally, the albino axolotl is white but with red eyes. This is the species that is considered domestic. In the aquarium, you can have grey, brown, white, black-eyed axolotls, golden Albino, white albino. The “Harlequin” have black tasks and others can have two colors. You can buy an axolotl in pet shops. The price varies depending on the size and the color. This can go from 10 to 50 dollar. Which aquarium does it need and how to develop it? It must be thought that once grown, the axolotl can reach nearly 30 cm long. So he needs a big aquarium right from the start. He will spend most of his time at the bottom of the aquarium. If it is too often on the surface, it is a sign of ill-being. This stress is also very common. That is why he must have many possibilities to hide. The axolotl likes to live with other axolotls. So you have to plan a bigger aquarium if you buy two salamanders. The axolotl needs a large floor area with very fine sand or a bare bottom. It needs at least 30 cm of water between 14 and 20 °c maximum. The water of the tap, the more limestone possible, is perfect. It is important not to install a water conditioner or bacteria. The axolotl does not like the current and it is necessary to renew 20% of the water each week. Caves, floating plants and various hideouts are welcome and the lighting is useless since the axolotl lives at night. It is not advisable to put other fish with the axolotl. They could eat their gills or eat themselves if they are small in size. What does the axolotl eat? The axolotl is a carnivore. His favorite foods are worms, insects, small fish. In a pet store, there are pellets made from fish but it is also possible to give them earthworms, worms of mud, small crustaceans of fresh water… It can also be given a chicken heart or freshwater fish flesh. When it is less than 10 cm (it is not advisable to buy an axolotl of this size), it must be fed daily. From 10 to 12 cm, it takes five meals a week, then three meals when it measures 12 to 15 cm, two meals of 15 to 20 cm and only once a week when its size exceeds 20 cm. As a general rule, axolotl should be fed to satiety. When he is not hungry, he simply turns away from food. Before buying an axolotl, think that he needs a lot of space, that he does not manipulate himself, that he lives better with a congener, that he does not like the heat and that his life is at least 10 years.